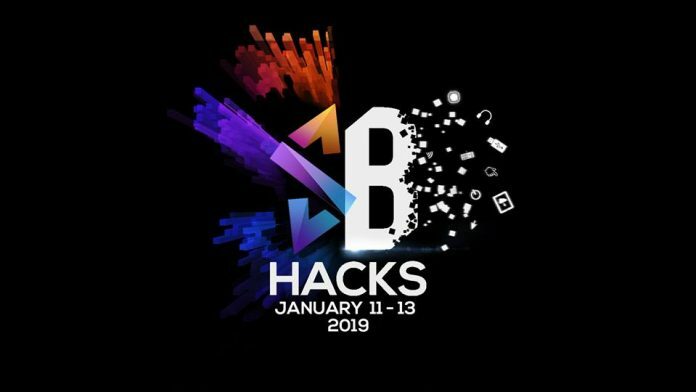 SB Hacks, an organization that organizes the biggest hackathon on campus, has begun the process of recruiting volunteers and hackers for the fifth annual SB Hacks event, which will take place from Jan. 11-13, 2019. What is a hackathon, you may ask? It is 36 hours of frantic coding, collaborating, and hands-on problem solving. It is also a great opportunity to network with many brands and companies, win incredible prizes, and come up with innovative solutions to problems. It is a hands-on experience where coders from around the nation can compete using company technology that isn’t usually accessible to them. Many applications we use today, including GroupMe, were originated at hackathons. In addition to creating useful applications and exploring new ideas in an intense, creative environment, hackathons give participants access to the largest names in the tech industry, such as Google and HP. SB Hacks gives UCSB students access to the unique environment of a hackathon, with applications to code in UCSB’s hackathon now open. If a coder is accepted to participate, they will be able to compete for general prizes, which are yet to be publicized, as well as company-specific prizes from corporate sponsors. A common misconception about hackathons is that you have to be a hacker to participate. However, SB Hacks is also accepting volunteers, who help with everything from catering to running the event. In exchange for their time, volunteers get to watch the hackathon, a chance to interact with industry professionals, and free food and gear, including stickers and shirts. According to organizers of the event, the organizing team recently interviewed and accepted some new members to assist with organizing the event. As the event approaches, the organizing team is working on ensuring that this year’s event is the best hackathon UCSB has put on so far while also onboarding the new members to take over positions for next year. The team wants newer members to get hands-on experience in order to better understand the event and perform in their year-long roles next year. Although it may seem like the event is put together within a quarter, there is a year-long process of preparation that takes place behind the scenes. This process includes recruiting sponsors, raising funds, advertising the event, and securing a venue and accommodations for participants. In an interview with The Bottom Line, Valeria De Leon, Development Team Lead for SB Hacks and third-year communication major at UCSB, broke down the calendar of events, stating that check in will be at 5 p.m. on the day of, with the opening ceremony for the event starting at 8 p.m.
She also stated that the fifth annual SB Hacks has already received substantial attention, with over 300 hackers submitting applications to code since the application has gone live. According to De Leon, acceptances for hackers will be sent out right before Christmas — a mere month away. Visit SB Hack’s website https://sbhacks.com/ or Facebook event page https://sbhacks.com/fb-event in order to apply to the event by Dec. 20. With applications for the event rolling in at a rapid pace, now is your chance to partake and #makewaves with UCSB’s own hacking club, SB Hacks.